When it comes to hair health, we choose products with the best quality ingredients for the integrity of your locks. Careful consideration is given to the environment and overall impact with our product selection. Please indulge in a sampling of a few of our hair artists favorite hair products. Dollylocks is the best line of organic dreadlock products available in the USA. These dreadlock care products are residue-free and all natural, using 100% vegan ingredients to give your dreads the look and feel you want. 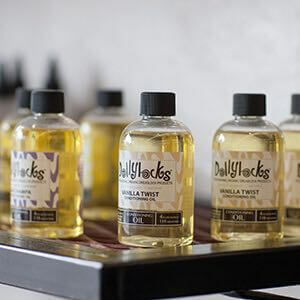 Dollylocks products also give your hair amazing scents for an alluring and intoxicating aroma. 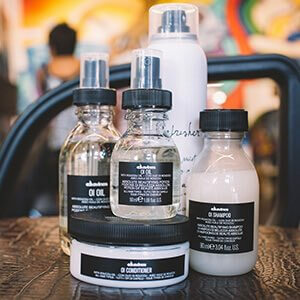 Davines makes wonderful hair care products that are ecofriendly and environmentally sustainable. They use state-of-the-art hair care research to produce some of the finest products in the world, all while striving to provide products that make the world a better place. When you use Davines not only do you look good, you feel good. Moroccanoil offers hair and beauty products that all feature argan oil. This oil is infused with antioxidants, giving your hair a beautiful shimmer that cannot be duplicated. 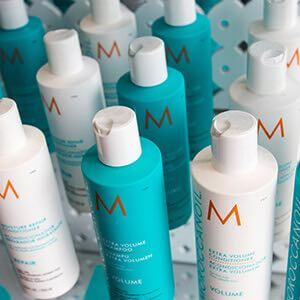 The Moroccanoil line offers both styling and conditioning benefits, giving you everything you need to look and feel great. 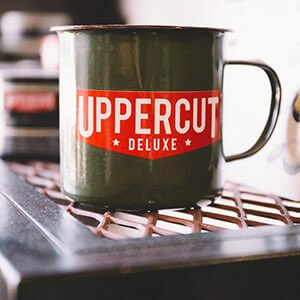 Uppercut Deluxe is a retro grooming line, inspired by 1950s barbershops. This classic yet modern line provides everything you'll need to get your hair looking and feeling great. Uppercut Deluxe has the highest quality products, and these products are available to you at The Electric Chair in Ocean Beach. CHLF hair products - A unisex line of product that gives you the freedom to wear your hair exactly how you want. All products are ethically and locally made right here in San Diego, non-animal tested, vegan and gluten free.